And she did it not once, by mistake, not twice, by coincidence, but thrice, and what she tells you three times is true, as Lewis Carroll said in The Hunting of the Snark. First, she said Israel "hypnotised the world." Second, she said members of Congress were pro-Israel because Jews bribe them ("It's all about the Benjamins, baby.") 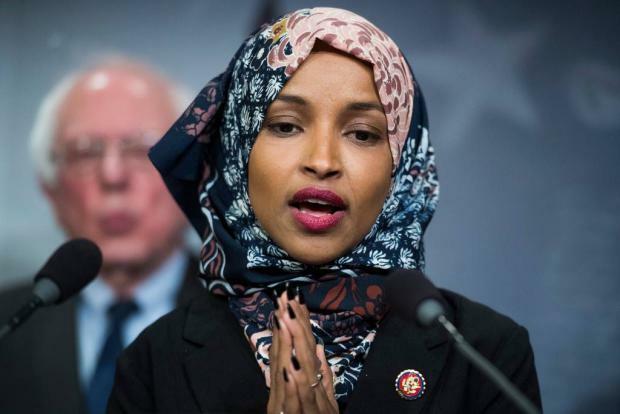 Thirdly, she noticed "the political influence in this country that says it is okay to pledge allegiance to a foreign country (read: Israel)."